Kapurthala shares its boundaries with the Districts of Jalandhar, Amritsar, Gurdaspur, Ludhiana, Hoshiarpur and Ferozepur. According to the 1991 census, the population of the District is 6,42,529. Out of this 3,43,777 belongs to Tehsil Kapurthala, 1,01,704 to Tehsil Sultanpur, 1,97,048 to Tehsil Phagwara. The population of about 4,77,011 resides in a rural area and 1,65,518 in a urban area. The District has four Tehsils viz. Kapurthala ,Phagwara, Sultanpur Lodhi and Bhulath and five blocks viz. 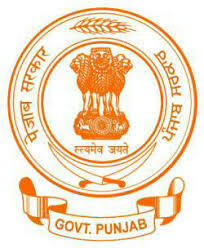 Kapurthala , Nadala Sultanpur Lodhi , Phagwara and Dhilwan.It has five sub Tehsils and five market committees Kapurthala , Bhulath, Phagwara, Sultanpur Lodhi and Dhilwan. Kapurthala and Sultanpur Lodhi are famous for ground nut and rice. Nadala block for rice and Phagwara for sugarcane and groundnuts. The total area of the District is 1633 sq. kms .of which 909.09 sq.km is in Tehsil Kapurthala,304.05 sq. kms in Tehsil Phagwara and 451.0 sq kms area in Tehsil Sultanpur Lodhi.The area between the river Beas and Kali Bein is known as BET. The Area south of the Kali Bein is known as “Dohnan” and is sandy. There are village, panchayats and Kapurthala , Phagwara and Sultanpur Lodhi have municipalities. Bhulath, Dhilwan and Begowal have Nagar Panchayats .In yester years Kapurthala was known as the “Paris” of Punjab because of its cleanliness and planned township. There were number of beautiful buildings .Jagatjit Palace, Shalimar garden, Kamra garden, Mooriish Mosque, Five temples, State Gurdwara, Villai, District Courts and the Kanjli tourist spot are attractions in the city. Sultanpur Lodhi is a historic and religious place. Gurudwara Sri Ber Sahib and other Gurudwara Sahibs and temples are located in the city. Phagwara is situated on the Grand trunk road and is growing into a big industrial town. Jagatjit Cotton Mills, Jagatjit Hamira Mills, Sukhjit Starch Mills and Oswal Sugar Mills are the big mills in the District. There is a distillery in Hamira where liquor and milk products are manufactured. People of the District are peace loving and hard working due to which the District is progressing day by day.